Slow, ponderous, and of course it becomes interesting in the last twenty minutes. Perhaps I missed the point but it was mostly boring. Day-Lewis' riveting performance is a consistent highlight in a movie that doesn't quite match the previous stronger efforts from Paul Thomas Anderson. Loved it! Impeccably acted and directed... Beautiful and austere, if a bit nauseous. Just a smidge too long, though. 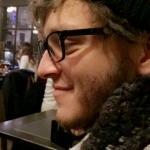 �Phantom Thread � might be the best film I think I have ever seen. Superb in every sense of the word. It's up there with �There Will Be Blood�. For the last couple of days after I watched the film, there was something about it that transcended me into a spell. It felt like a dream. An extraordinary incident was watching this a second time in one week, which is something I rarely do. Better on the second watch, if I must say. Gripped ever tighter in it�s sinister approach to love. What could've been so boring with its subject matter of the fashion world, something I�m not personally interested in, but made it so fascinating. If you watched the trailer and think you know how things are gonna play out, you�re dead wrong. One of the greatest living directors, Paul Thomas Anderson, doesn�t disappoint at directing one of the greatest living actors, Daniel Day Lewis, in what is supposed to be his latest performance. 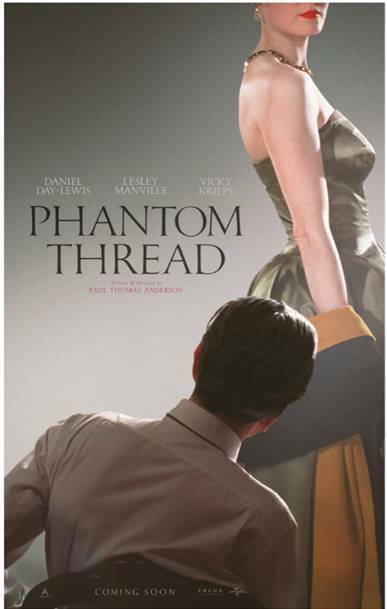 Phantom Thread tells the story of Reynolds Woodcock (Day Lewis), a dress maker and fashion designer as he meets and falls in love with Alma (Vicky Krieps), who at first finds him alluring but with time starts growing continously disenchanted with Woodcock�s form of living. The film shows quickly shows its prowess as a thorough character deconstruction and a fascinating period piece into a world which doesn�t get much focus on the cinema landscape. No posts have been made on this movie yet. Be the first to start talking about Phantom Thread!